Economic Empowerment of Women in Africa. 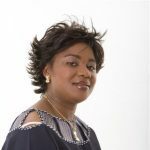 After 13 years in the financial administration field with various South African companies such as Sun International SA, Shell Global and Western Province Cricket Club, Madelein Mkunu decided to embrace Gender and Women’s Affairs with a specific focus on Women’s Leadership and women’s economic empowerment in Africa. In the past two decades there has been huge focus from local and international development institutions on the women economic empowerment in Africa. Many institutions including private corporations have been successfully designing and implementing women’s empowerment programmes in collaboration with local women’s platforms or government in Africa. The main segment targeted by many such programmes have been women in informal and micro enterprises operating in sectors such as handcrafts, sewing, agro-processing, beauty… Services offered include: Business skills, coaching and mentorship, packaging and marketing skills and in some instances, women receive extra support with market identification for their products as well as access to micro-finance. While the current interest from development partners is placed on establishing successful income generating activities for women in informal and micro sectors, the impact of these programmes remain at micro level whereby participating women contribute to reduce household poverty. A very important segment comprising of small and medium enterprises (SME’s) owned and managed by women continue to be under-serviced by most of these programmes. This segment holds an enormous potential to contribute significantly in job creation and in the continent economic growth as a whole. In recent years, the African region has experienced a vigorous surge of women involvement in the mainstream economy including primary infrastructure sectors such as construction, transportation, science, information and communication technology, energy, oil, gas and mining. As such the promotion of women involved in these formal sectors should remain an important priority for African leaders as well as development stakeholders. While in general, women of Africa face numerous constraints for their empowerment, women operating in small and medium enterprises encounter major difficulties to build sustainable enterprises with the main constraint being the lack of access to affordable business or project finance. Consequently they are refrained from growing their business ventures and becoming fully participants in the economic growth of their respective countries. There is an ever-growing acknowledgement of the importance to engage women as stakeholders and integral role-players in the socio-economic development of Africa as they seek to be at the forefront of driving the economic growth in Africa. Women across the continent continue to actively mobilize themselves and like-minded leaders to find collective ways that encourages, promotes and communicates the need for extensive participation in the process of re-building Africa. 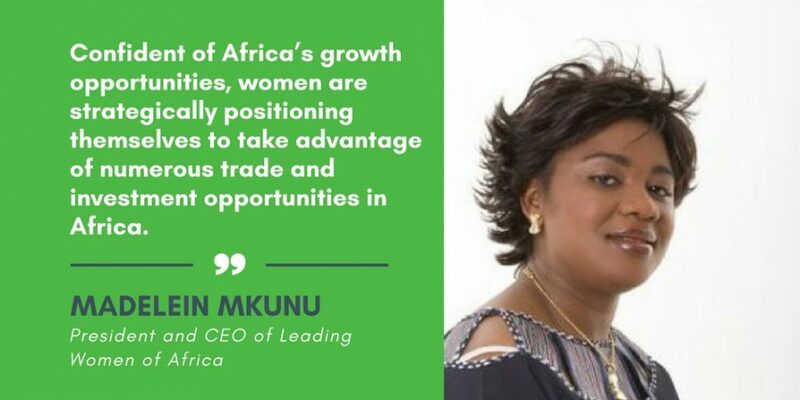 Since 2008, Leading Women of Africa (LWA) has built a pan-African network of women entrepreneurs involved in the mainstream sectors of the economy. The LWA Network has acknowledged more than ever the importance to engage with all stakeholders at public and private sectors in order to promote win-win partnership and the integration of women in the mainstream economy in Africa. While robustly lobbying for these, women are however, confident that hard work on their part, proactive thinking accompanied by dedicated political will from decision makers, can make this process possible and speedy. Across Africa, women are mobilizing themselves to find ways to ensure their active and massive participation in the process of rebuilding Africa through designing and planning infrastructure projects. It is critically important that women’s interests, views and full participation in the designing and planning of infrastructure development be taken seriously not only by African governments but as well as all partners for development. The presence of multiple women’s construction, engineering, ICT companies proudly led by women themselves prove that women of Africa are capable of playing a positive role in the process of establishing a solid and sustainable win-win collaboration with other stakeholders. It is believed that integrating women into the mainstream economy will contribute to achieving the Sustainable Development Goals in Africa in years to come as part of post MDGs strategy. Confident of Africa’s growth opportunities, women are strategically positioning themselves to take advantage of numerous trade and investment opportunities in Africa. LWA has been working tirelessly to ensure that women emerge as successful leaders in mainstream industries and sectors of the African economy. LWA is in the process of building a pool of investors, funders, financial and technical partners who might be looking to diversify their investment portfolios in Africa in partnership with women.